There are more and more great tequilas and mezcals being imported into the U.S. Here, F&W's Kate Krader on seven great spots that specialize in the really good stuff. This new venture from the great chef Richard Sandoval boasts more than 350 types of agave spirits, namely tequila that ranges from blanco to añejo and even extra añejo. There’s also vertical tequila tastings and a vast selection of mezcal. The extensive cocktail menu includes house-infused sipping tequilas (with flavors like cilantro, tamarind and blueberry-and-lemon), a killer house margarita and other specialties like the Cucumber Pepino (serrano-infused tequila, cucumber and citrus). Sandoval’s superior menu includes guacamole with smoked trout, and tacos stuffed with skirt steak, Wagyu and chorizo. Specializing in agave-based spirits, this bar from the Death & Co. team doesn’t boast about how many different spirits they have—they concentrate on those that are made very well. In addition to mezcal and tequila flights, the bar serves amazing cocktails like the Red Baron (mezcal, red pepper, basil, lemon, absinthe and cayenne salt) and the Michelada de Tamarindo (blanco tequila, tamarind sangrita, lime, salt and beer). Meanwhile, chef Vincent Gonzalez serves house-made tamales and poblano-spiked queso fundido. Believe it or not, one of the country’s great tequila bars is located up in the mountains of Aspen, Colorado. Owner Jimmy Yeager stocks 120-plus kinds of tequila and mezcal and makes margaritas like Jimmy’s (a reposado-based classic); the cranberry-and-mezcal Smokey; and the 21st Century, spiked with Don Julio 1942 that costs $30. There’s also a lot of good tequila at Yeager’s newest spot, Jimmy’s Bodega, where the specialty is bottled cocktails like the Puerto de Aspen, a mix of blanco tequila, watermelon and lime. The tequila selection is massive at both locations of this club-like bar (in Hollywood and West Hollywood). They also both offer cocktails like the silver tequila–based Scorpion margarita with cranberry and OJ, and a tapas-inspired menu. You can reserve the private tasting rooms upstairs at the WeHo location for an annual fee–a nice, lower-cost alternative to the bottle service at nearby bars and clubs. Housed under a big shady tree on the back patio of one of Austin’s most beloved Tex-Mex restaurants, Pélon’s, 508 has an extensive menu of drinks including the Mexican Martini (blanco tequila, Patrón Citrónge and a splash of olive juice) and the Pelóns Fresca (tequila, St-Germain, mint, lime juice and soda). Of course, there are several types of margaritas. 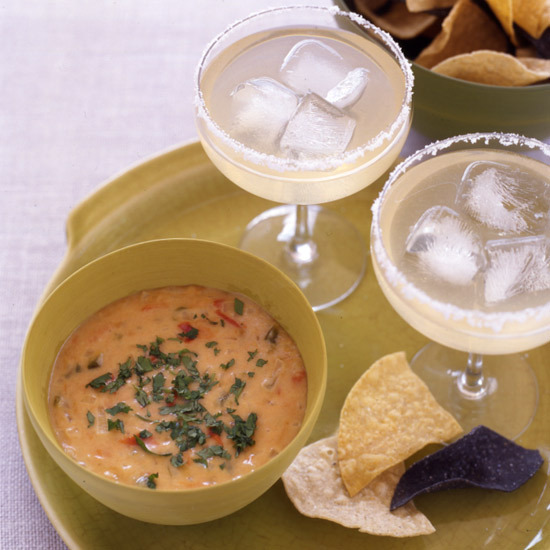 With margaritas go snacks: The nachos are loaded with refried beans, cheese, pico de gallo and guacamole. This massive new restaurant and tequila bar has two patios and a mechanical bull; it’s also got plenty of specialty tequilas and cocktails. The Puncho Villa features jalapeño-infused tequila along with watermelon, cucumber and mint. The upper patio also boasts great views of the newly opened High Roller, the tallest observation wheel in the world. This year-old project from agave expert Bobby Heugel (co-owner of the beloved Anvil Bar & Refuge) and Alba Huerta features a terrific selection of mezcal and tequila. I’m psyched because Heugel claims to be serving the best margarita he’s ever had, which is saying something. His secret: to mix in Persian limes with Key limes, which, as he told Houston’s Culture Map, is how Texas margaritas were originally made.